If I wanted to make this blog really tedious and dull, I’d write about my running all the time. Sure, I enjoy running, its often stimulating with even exhilarating and unique moments from tim, but then some runs are about as exciting as washing the dishes. Running success requires a certain humdrum day to day consistency which when written out, is about as exciting to read as a bus schedule. Of course, there are days when you have a workout breakthrough, but of course, to build up a solid foundation, you have to come back every 2-3 days and run another strong workout. So I’m not big on broadcasting about my training accomplishments on the Internet or through social media for that reason. But then, runners like to talk about running, and “How’s your running going?” is always a great ice-breaker question when meeting runners. And this weekend, I signed up for the Santa Cruz Half-Marathon, and figured it couldn’t hurt to share some experiences and discuss how training leading up to the race is going from time to time. After running for over 30 years, I have my own thoughts about how to train for half-marathons, and figure some of you might actually be interested in reading about this every few weeks. When the Santa Cruz Half-Marathon starts April 7th, we’ll all find out how all that hard work paid off, a running laboratory if you will. For those more interested, feel free to find me on Daily Mile where we chat about our respective running and other workouts on a more regular basis. As for my current plans for the Santa Cruz Half-Marathon, I figure to have a finishing time in the range of 1:25-1:30. I’m building up my long runs to at least fourteen miles by the end of the month, with weekly mileage in the 40-45 mile range. Then I’ll start getting speedier with some 3-4 mile tempo runs starting February, and a smattering of shorter interval track workouts in March. I’ll be writing about those workouts with observations and hopefully some insight that might help you with your running. 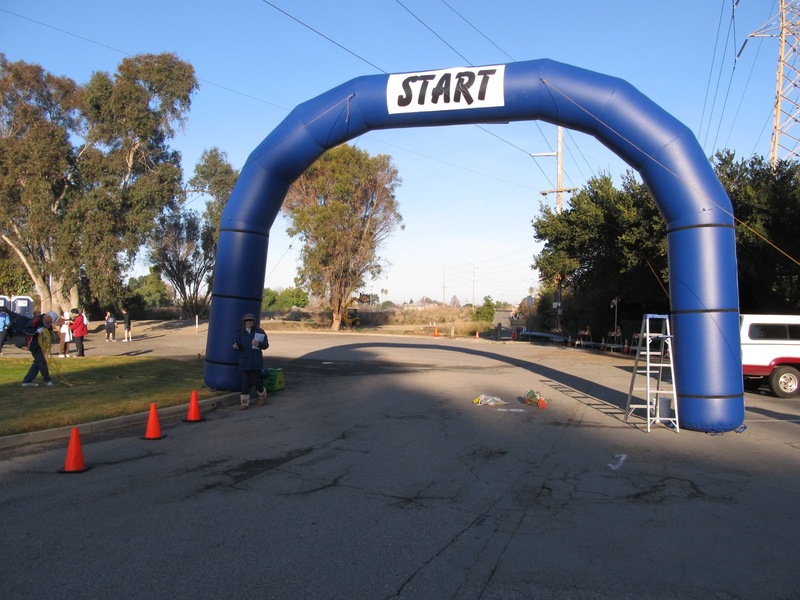 I’ll also be running The 408k, an 8k in San Jose on March 10th as a tune-up for the half-marathon. Right now, the focus is on the long runs and getting a decent amount of base mileage. And I’m a believe in doing your long runs fast. It’s a counter-intuitive approach and goes against a lot of so-called conventional wisdom out there. But running long runs fast has worked for me, and I’ll talk about that specifically in two or three weeks with a few more long fast runs under my belt. For those who decide to stick around, we’ll see where this all leads. How awesome. I did a run in Santa Cruz on our vacation a few years ago. We normally try to find great Santa Cruz vacation rentals then we match it up with a marathon or two. This way I can make sure I exercise on vacation. Thanks so much for your post, it was interesting to read.